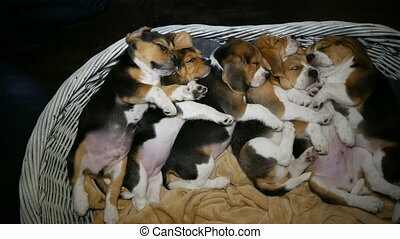 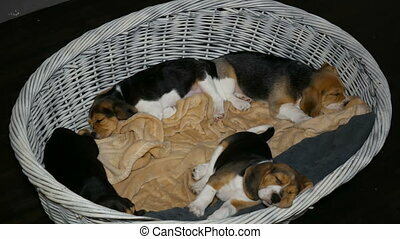 Beagle puppyies in the basket for dogs. 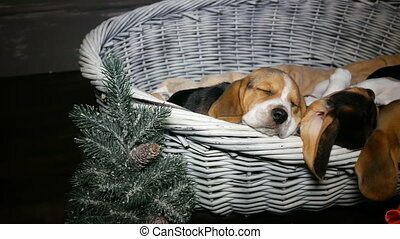 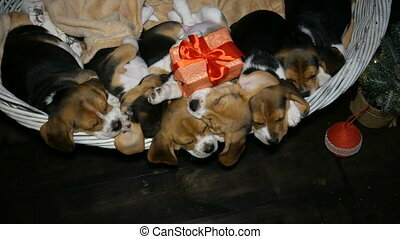 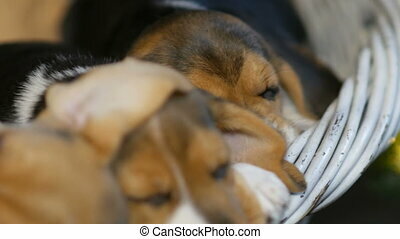 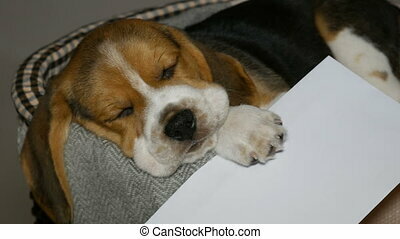 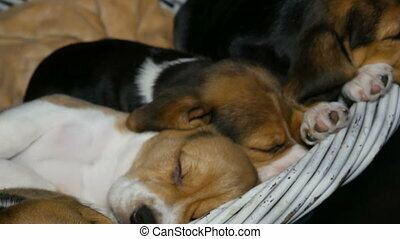 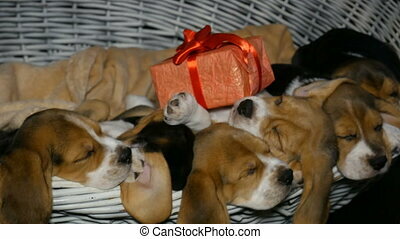 Cute beagle puppyies in the wicker basket for dogs. 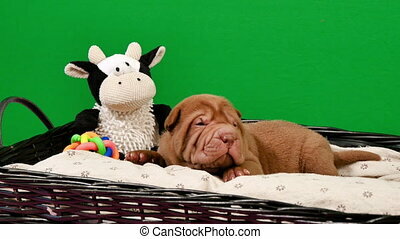 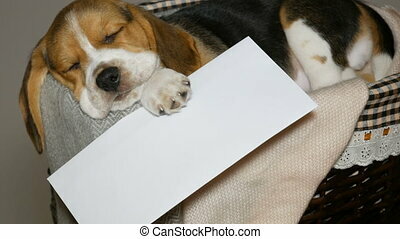 Cute Shar Pei puppy posing and resting in the studio. 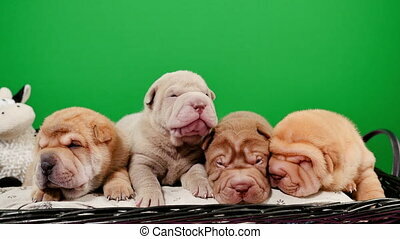 Wrinkled tiny cute dogs for a chroma key. 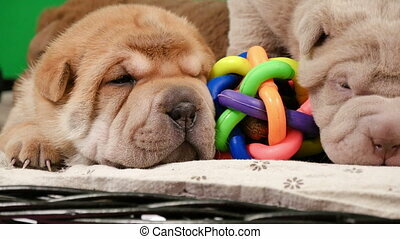 Dog bab closeup. 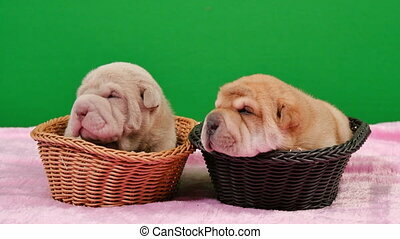 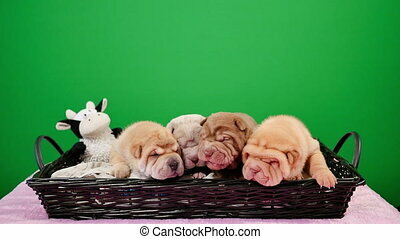 Cute Shar Pei puppies posing and resting in the studio. 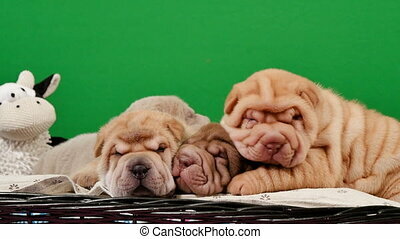 Wrinkled tiny cute dogs for a chroma key. 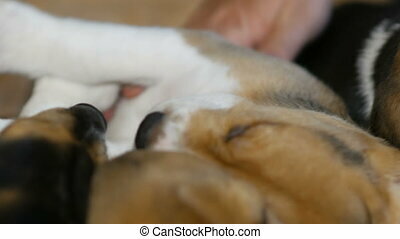 Dog bab closeup. 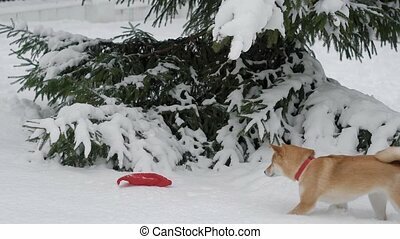 Lovely shiba is running for its toy through snowdrifts to the tree in winter forest. 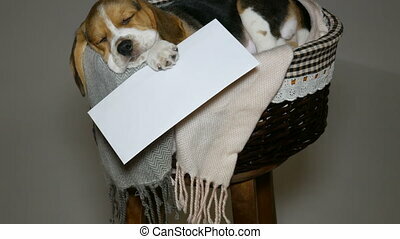 Its sweet owner is following.